A MBA degree gives students a comprehensive education in everything from finance to marketing to management and human resources. MBA graduates leave their programs with the education and skill set necessary to pursue a wide variety of career paths in upper management roles. HR managers oversee all human resources specialists and work with upper and executive management to develop HR policies. HR managers then ensure that such policies are implemented and followed in a way that is beneficial to the bottom line of the company. As outlined by the Houston Chronicle, HR managers must have expertise in all areas of human resources practice—hiring, training, employee management, employment law—and also be able to manage a team of people in an effective way. This means ensuring that all HR employees are completing all necessary assignments and updating upper management about progress and any concerns or issues. The Houston Chronicle stressed that an HR manager’s day-to-day duties can vary considerably, contingent on the size of the organization. 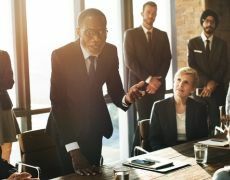 In larger companies HR managers may take a bigger picture look at the organization, working with executives to devise HR policies and ensuring that the company is complying with government regulations. HR managers in this scenario will complete little, if any, of the daily administrative work typically executed by a human resources generalist, such as reviewing job applications and conducting training sessions. In smaller companies, however, HR managers may be tasked with completing general HR functions, in addition to serving as a liaison with upper management. Government laws and regulations: Ensuring that labor laws are adhered to. Employee training: Creating training programs in accordance with research and ensuring that all employees receive training to a satisfactory standard. In some cases, HR managers will be charged with reviewing performance data to ascertain the employees who are performing well, and those who are not. Recruitment strategies: Overseeing all recruitment strategies, from job postings to interview coordination and final hiring decisions. Strategies for employee retention: Working hard to create policies and incentives that motivate employees to work hard and remain dedicated to the company. Compensation plans: Developing an organization’s compensation and benefits framework. Employee management: Ensuring that policies are in place should an employee have concerns or complaints, or in the event that disputes take place with other employees or managers. This involves ensuring that all employees feel safe and comfortable in the office, and that safeguards are in place to reduce incidents of discrimination based on factors such as race and gender. In cases where discrimination does arise, HR managers are required to build strategies for resolving the problem. As outlined by the Houston Chronicle, to succeed in this role you must be adept at both team management and general human resources practice. Given the rise of digital platforms and big data analytics in the HR industry, it is also helpful to have a high degree of IT literacy and be open to learning and adopting new platforms. According to The Balance, some of the most successful HR managers understand the practice of HR has evolved from the simple management of people. The industry is now concerned with building policies designed to manage the very best talent to serve the company and the bottom line. An ability to understand, in detail, how an HR department fits within and drives the growth of a specific company is crucial to success. The US Department of Labor reported that to attain this role, you will need both experience in the field of HR and a bachelor’s degree. A master’s degree—particularly an MBA—will open up more opportunities and likely expedite your journey to this job. Human resources managers take home generous salaries. As outlined by the US Department of Labor, as of 2015 the nationwide median salary for this job stands at a little over $104,000 per year. It is possible to earn considerably more than this, contingent on the size of the organization within which you work and the scope of your role. As pointed out by popular careers website PayScale, salaries close to $130,000 in this profession are not uncommon. If you are eager to open more career paths, you should begin with an application to Villanova University’s online MBA program. Designed to help you work and study at a time that suits you best, the Villanova online MBA program offers the same world-class instruction as the on-campus program, from the comfort of your own home. Learn more about Villanova University’s online MBA program.